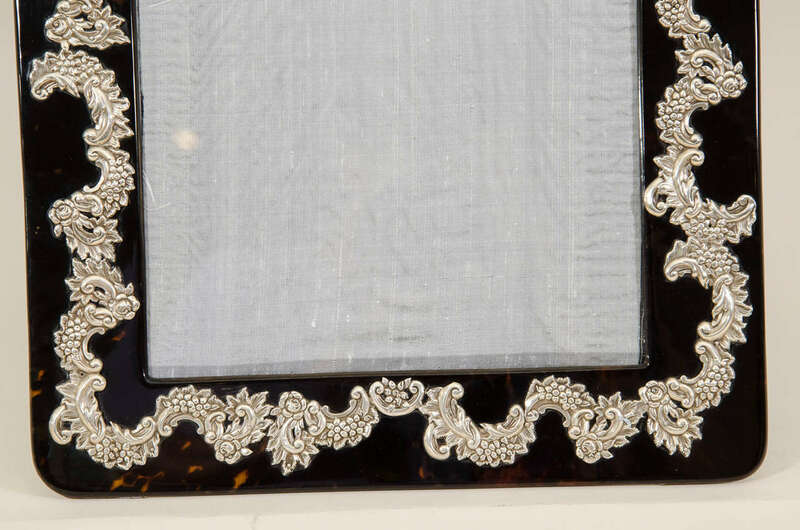 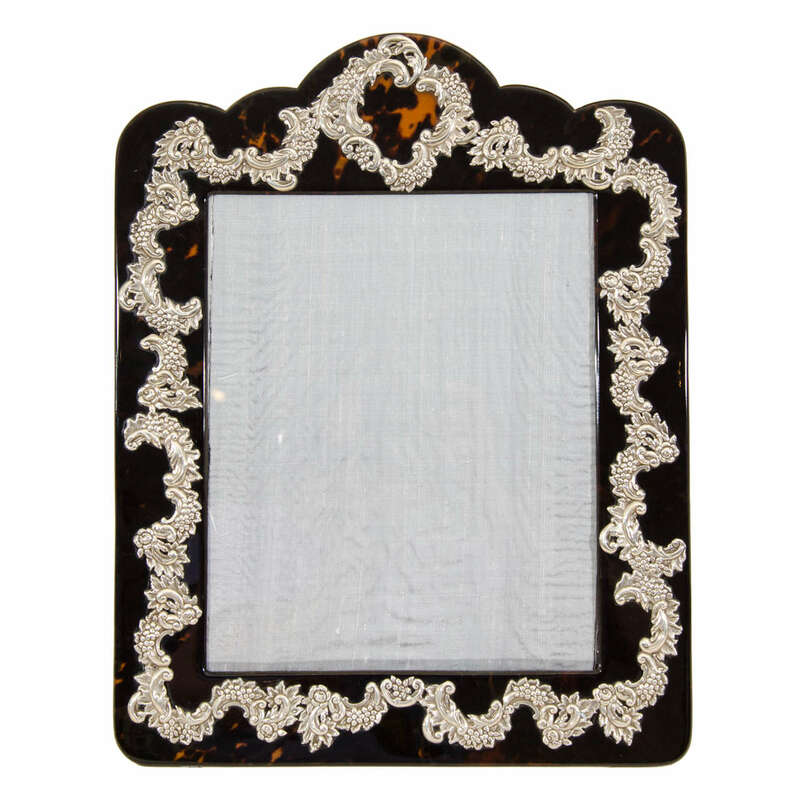 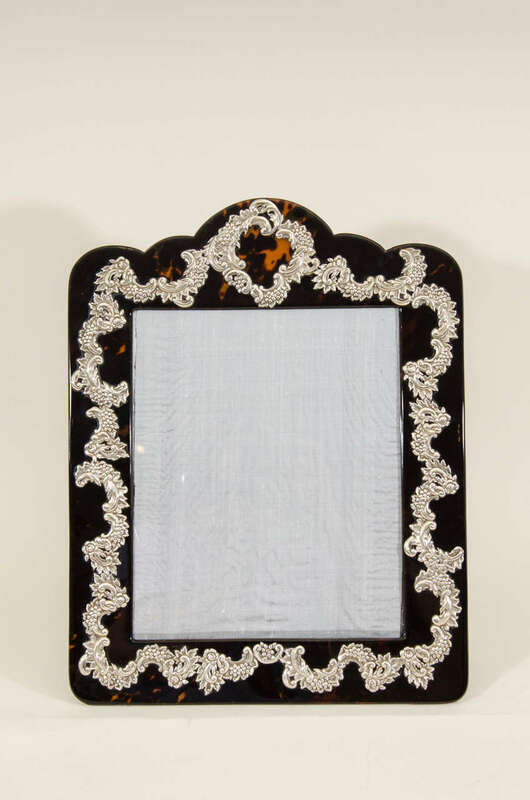 This large ornate faux tortoiseshell frame has intricate floral and foliate sterling silver-mounted design with scalloped top and original wood easel back. 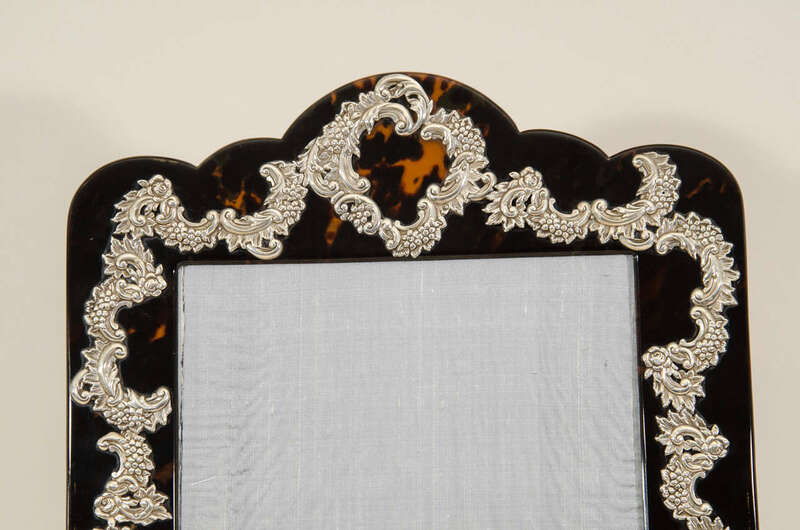 Faux tortoiseshell and silver cleaned and polished. 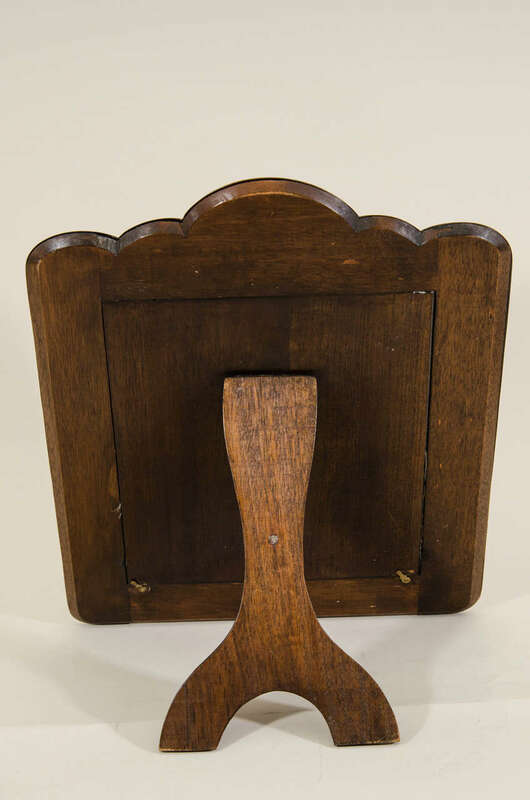 Easel would need securing to ensure stability. 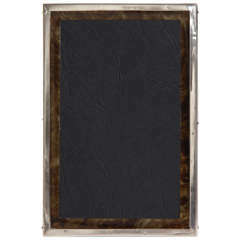 Rectangular photograph frame with arched top and Worcestershire Regiment silver badge. 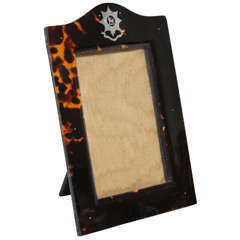 Original leather back and stand. 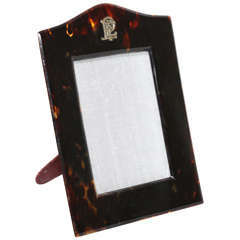 Rectangular photograph frame with arched top and fancy gold FEP monogram. 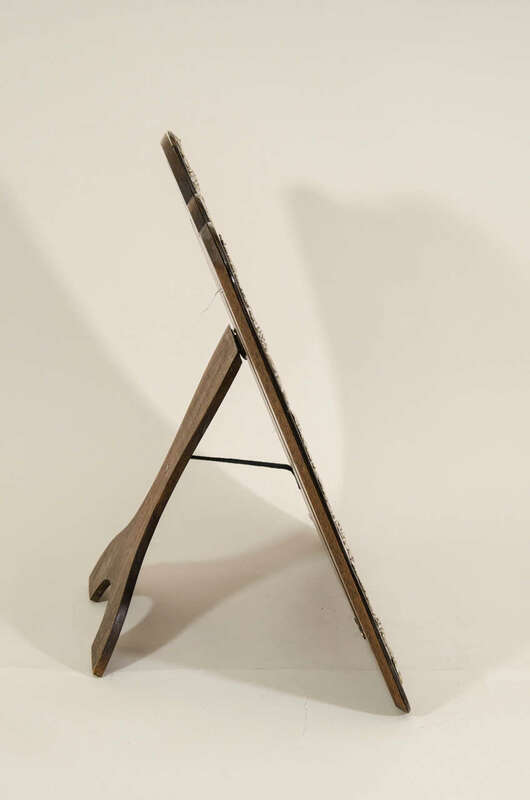 Original leather back and stand. 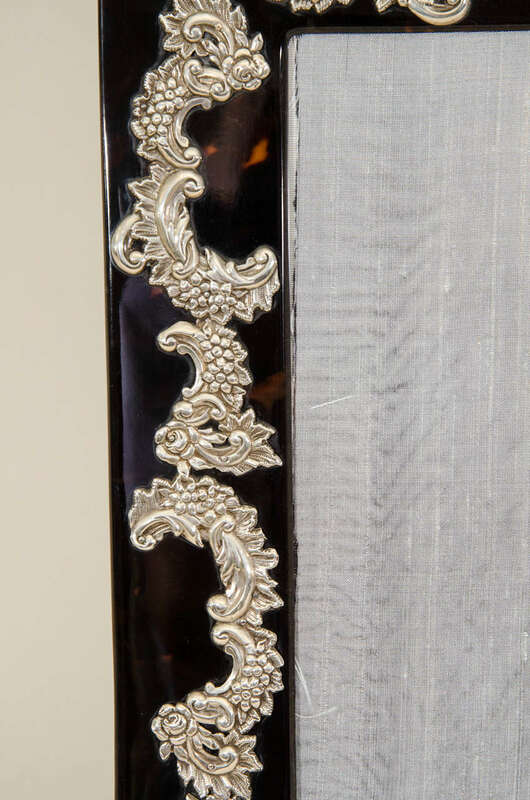 Stamped: ASPREY LONDON on back. 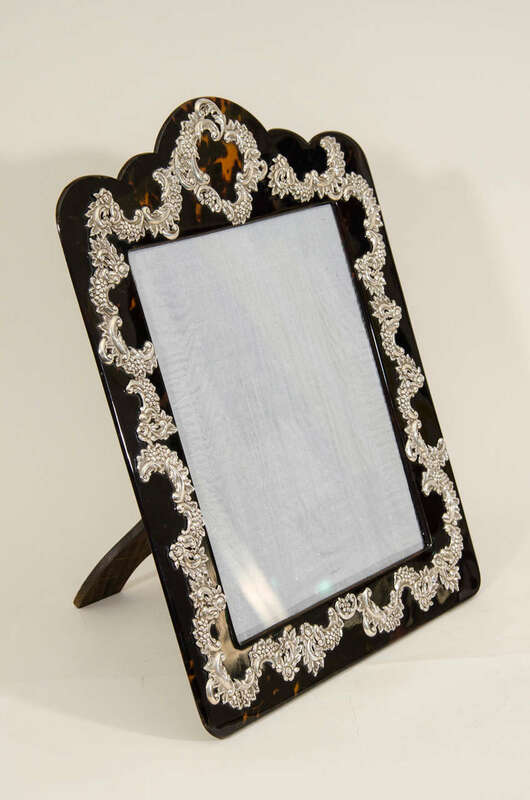 A large sterling silver photograph frame with 'engine turned' decoration and with wooden easel back. 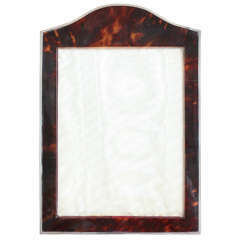 By William Neale & Son Ltd.
William Neale & Son Ltd.
By Alexander Clark Manufacturing Co.